Norbert H. Bednarek, age 87 of Coloma, passed away peacefully on Friday, October 5, 2018 at Dove Healthcare in Eau Claire. He was born on April 24, 1931 in Chicago to Henry and Maxine (Tomaszewski) Bednarek. Norbert married Frances Ann Liebner on February 6, 1952. 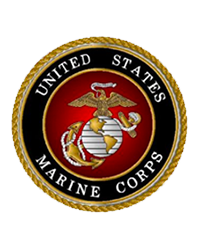 He proudly served his country during the Korean War with the United States Marine Corps. Norbert is survived by his six children, Jonathan, Martin (Cathy), Mariette (Charles) Webster, Fran (Trig) Dutter, Bradley and Faith (Tom) Hammortree; 12 grandchildren; 17 great grandchildren; other relatives and friends. He was preceded in death by his parents; wife; daughter, Clarice Archer; granddaughter, Lindsey Hammortree and brother, Daniel. According to Norbert’s wishes no formal service will be held. A private family inurnment service will be held at a later date at Holy Cross Catholic Cemetery in Calumet City, IL. Please take a moment to view the online guestbook. Send your condolences or share a memory of Norbert with his family & friends.